HomePod, the wireless speaker from Apple, is adding new features that let customers do even more with Siri on HomePod, including the ability to search by lyrics, set multiple timers, make and receive phone calls and more. 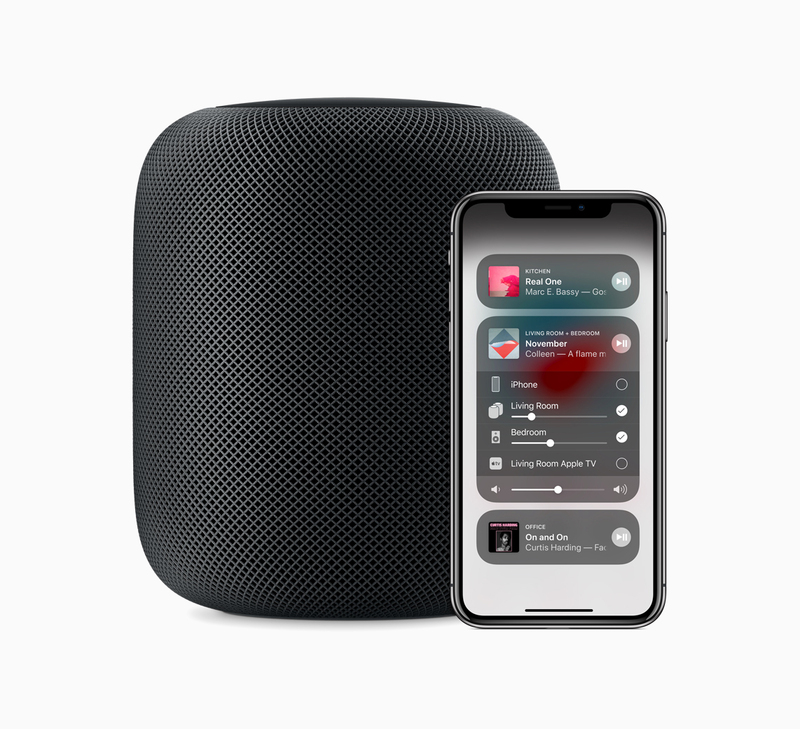 HomePod delivers the highest-fidelity audio quality wherever it is placed in the home, and provides unmatched stereo sound with a stereo pair that offers a wider, more immersive soundstage than traditional stereo speakers. HomePod works together with an Apple Music subscription to stream over 50 million songs directly to HomePod. Set multiple timers: HomePod now supports multiple named timers. Set a timer for the cake, another one for lasagna and another one as a reminder to dim the lights — using just your voice. Make and receive phone calls: Conveniently use HomePod to make and receive phone calls for crisp and clear audio quality. To make a call, simply ask Siri to call someone from Contacts or say the number to call. Incoming calls are automatically directed from iPhone to HomePod — just ask Siri to answer the phone — and for missed calls, it’s as easy as asking, “Hey Siri, who just called?” Using the audio picker on iPhone, calls can be moved from HomePod to iPhone at any time. Find My iPhone: The popular Apple Watch feature comes to HomePod, so users can ping any of their nearby devices to find them. Siri Shortcuts: Shortcuts opens up a world of apps to work on HomePod. As Siri learns routines and suggests ‘shortcuts’ on iPhone and iPad, these same shortcuts are now accessible on HomePod. Personalizing shortcuts for HomePod with a series of tasks is easy with a new Shortcuts app. For example, “Hey Siri, good morning” could run a morning routine and order coffee from a coffee shop’s app, turn on the kitchen lights from the Home app and share the first few calendar appointments for the day — all with one simple, customizable command.